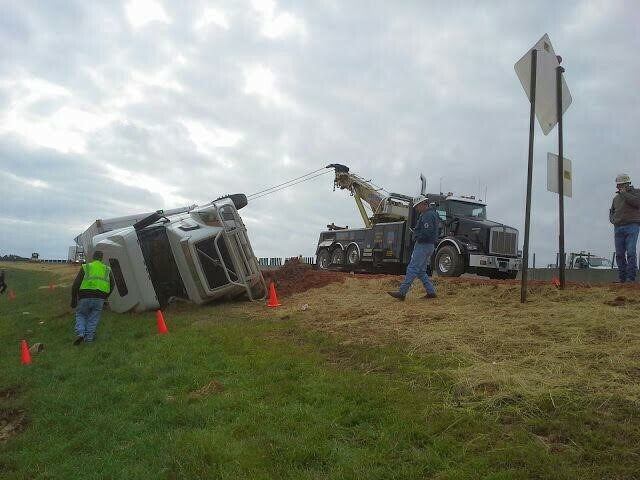 Blog Archives - Ward's Wrecker Service, Inc.
Ward’s Wrecker Is Your One-Stop Shop for Towing and Recovery! When it comes to handling just about any task in the towing industry, there is no one who does it better than Ward’s Wrecker Service. 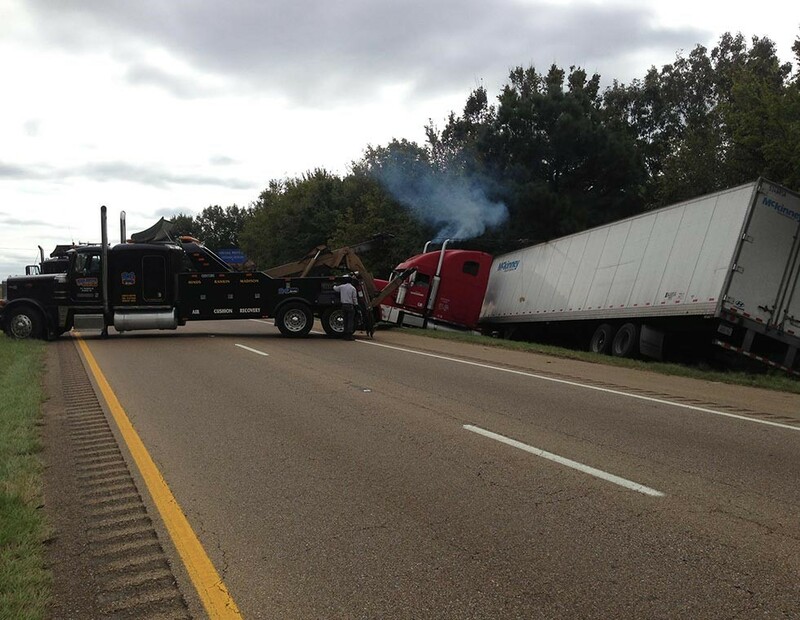 For more than 50 years, the Ward’s Wrecker team has provided towing services throughout the Jackson, Mississippi area. After five decades in the business, we understand what it takes to get the job done right. Ward’ Wrecker Service can provide tows – light, medium, or heavy duty – as well as heavy-duty rotator service, specialized transport service (Landoll or lowboy), load transfers, recoveries, and equipment and truck decking service. We also provide reliable roadside assistance for commercial and personal vehicles, which includes vehicle unlocking. Better yet, all of these services are provided 24 hours a day. Whether you are on an early morning haul or cruising on the highway late at night, our friendly drivers can get you back on track. For these emergency assistance calls, we maintain a state-of-the-art fleet of trucks. Our drivers use the latest tools and techniques to give you a quality haul, whether it is simply down the street, to our own repair shop, or something a bit farther away. Many don’t know that we also maintain a partnership with In Transit Environmental for cleaning up hazmat spills on the road. In Transit Environmental is a hazmat company that deals with cleaning up spills in the trucking industry. In Transit Environmental is highly specialized and certified in all types of accident and hazmat cleaning. Outsourcing to a dedicated hazmat clean-up company means that liability is reduced for us, which saves you money. Furthermore, you can trust the cleaning process will be done professionally and in less time. Ward’s Wrecker Service is also proud to offer repair services for all types of vehicles, including both personal and commercial diesel. No matter what the road throws your way, you can trust the techs at Ward’s Wrecker to fix you up and get you back behind the wheel of your vehicle sooner. Our drivers, specialists, and techs are all highly trained and experienced to take on whatever task lies ahead. We strive to offer “low-cost, high-end service” for everything we do, from the smallest of repairs to the most massive recovery or tow. We take both cost and quality seriously, each and every day. Our team is committed to offering the best services, all with a satisfaction guarantee. We perform tows, transfers, recoveries, assistance calls, and reliable repairs and hazmat clean-up with the same level of commitment that has always kept our company on top and allowed us to grow and best serve the Jackson area community. We understand that your schedule is busy and that your time is important, so when it comes to tows, recoveries, and emergency assistance, Ward’s Wrecker Service pushes for the fastest response times in town. 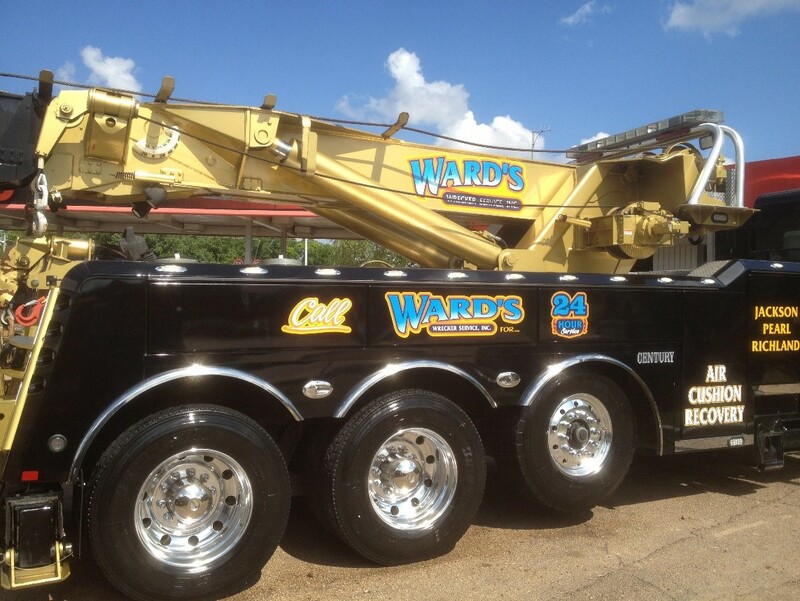 The next time you run into problems on your drive, call Ward’s Wrecker Service day or night at 601-948-1310. You can also visit our website for details about our services: https://wardswreckerservice.com/. The road can be unpredictable. Anything can happen, and when “anything” involves a hazardous material spill, the situation can get worse by the minute. Environmental safety is at risk, and a potential hazmat spill could easily become dangerous for drivers, motorists, and anyone nearby. Most towing companies want to get into the hazmat clean up business because of increased profits. A single hazmat spill cleanup job could bring in over $30,000. What tow company owners don’t realize, though, is that this service requires special training and certifications, as well the purchase of expensive equipment designated for hazmat cleanup. This presents a real problem, as the costs could be passed along to you, the consumer, in the form of a more expensive tow. Wait times could quickly escalate, as well, which could mean the situation gets worse or someone could be injured. Luckily, Ward’s Wrecker Service understands this and is proud to team with In Transit Environmental. In Transit Environmental is a hazmat clean-up company that deals with cleaning up spills in the trucking industry. In Transit Environmental is highly specialized, certified, and trained in accident and hazmat clean up. Ward’s Wrecker Service can save you the added cost and decrease wait times by leveraging this partnership to better serve you. In Transit is fully prepared to quickly and efficiently perform a hazmat cleanup. Cost cutting and less waiting are underpinned by the fact that outsourcing to a dedicated, specialized company like In Transit means less liability and a successful clean-up. For all of your towing needs, you can always rely on Ward’s Wrecker Service. But for dangerous hazmat spills and cleanups, rest assured that our partnership with In Transit Environmental is a smart one that will save you money and time. Keep our number handy, no matter what happens on the road: 601-948-1310. In the immediate aftermath of an accident or roadside emergency, keeping your cool is easier said than done. But, when you enlist the services of a reliable auto towing company, you have one less thing to worry about. Wards Wrecker Service brings professionalism and expertise to every job we undertake – we mediate crises every day, lending experience and perspective. And our personable dispatchers have a knack for putting most of our customers to ease, talking them through the situation in a calm and knowledgeable manner. They can provide you with accurate estimated times of arrival, taking into account your specific conditions. We stand by our family owned title and brand, priding ourselves on friendly disposition and customer service, as well as performance. Ward’s sees the person behind each call and not just another number. We’re especially well-versed in post-collision response. Our well-seasoned cleanup crews are trained on removing car parts safely and carefully from the scene. We can even arrange immediate transport to your desired repair center, so technicians can treat and counteract the damage as quickly as possible. Outside of major crashes, though, Ward’s Wrecker provides 24/7 roadside assistance. We’ll service everything from a light duty sportscar to your heftier commercial truck. So, even if you need something as seemingly insignificant as a flat or dead battery, we’ll respond to your call anytime – and Ward’s treats every scenario seriously, with the respect and attention to detail both you & your vehicle deserves. After that big meeting at work tanked, you’re in no kind of mood to fight the Rush Hour traffic. You’re doing everything you can to make light of a stressful situation, even put on some tunes to help you relax. But, just as the cars ahead of you start to inch forward, you feel a sharp thud from behind you. Struggling to collect yourself, you realize the vehicle behind you just rammed into the back of your car in the heat of all the excitement. Before you can even catch a license plate, though, it swerves around you and flees the scene. You’re nowhere near a traffic light camera and there’s no digital record of the other car, so now you’re left on the edge of the freeway with a major dent to your car’s body and quite possibly some serious mechanical damages. The logical solution would be to call the most affordable towing company closest to your area. While we agree it’s tempting to leap at the first “cheap” rate afforded to you, further investigation into service reliability indubitably pays off in the long haul. Ward’s Wrecker Service specializes in vehicle and equipment transport, recovery, towing & personal automotive repair service. We put our earnings to good use, ensuring our employees are extensively and regularly trained to uphold our high standard of excellence. This includes rotator training sessions, mandated Wreckmaster certifications, and in-house rigorous courses. When you enlist our services, you know exactly what you’re paying for – from our friendly dispatchers to our accurate ETA’s, we try to keep you as comfortable and satisfied with our work as possible. You’ll never have to worry about gambling quality when you hire a company with consistently high performance. We give more than just paper promises – our drivers have the experience as well as the credentials, so you can count on them to serve you with a smile and calm attitude, even when you’re in a state of panic. And after all, doesn’t your baby deserve the best treatment affordable? Our extensive fleet, lowboy, and Landoll services can easily manage vehicles ranging from light to heavy-duty. – When your stolen sports vehicle has finally been found. Listen up for some wonderful news: Your stolen sports vehicle was found on a highway or abandoned lot. Bad news: Your stolen car is on empty and you must go get the car yourself. In actuality, you do not have to go and get your stolen car yourself. 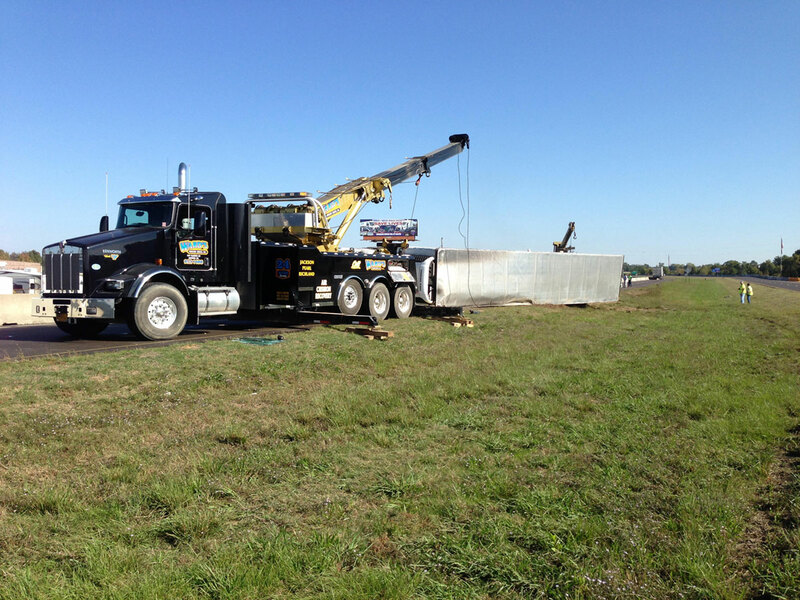 You can call a licensed heavy-duty towing company Jackson, MI that specializes in vehicle recovery. By doing this, you are ensured professional assistance that will maintain your beloved sports car in mint condition when it is finally delivered to your home. – When you realize your car is locked and you also do NOT have your keys– then you spot them on the driver’s seat. It is almost guaranteed to happen to every driver at one point in their lives. At times, a locksmith can assist you, but more often than not, it is a smarter idea to call a Tow Truck company like Ward’s Wrecker Service. It is more cost effective and the tow experts possibly have an enormous amount of keys or tools to get you back inside of your car and back to your keys! – When you get your 4×4 stuck in a bit of a situation. Whether you have driven, somehow, into a ditch, or you are stuck in the mud (literally), you will likely need the assistance and expertise of a Tow Truck Service. Do not try to figure it out on your own and wait, or try to come up with a MacGyver-esque solution to release your 4×4 from the muddy grips or out of the ditch. You may need to take your 4×4 to a mechanic after trying that. But, by calling a pro as soon as the incident occurs, you will be out of the mess quicker and with a bit less stress. – When you are in the middle of moving and that move does include moving a motorhome or caravan as well. Caravans and motorhomes are spectacular for special occasions on the road, but, of course, they become bothersome when having to move from one city to another. Worry not! Your motorhome or Caravan can be towed! It is also much more simple and much cheaper than the alternative. – When your car decides to…die. In some certain incidents, when a car refuses to go (like a petulant child), it might mean the battery is dead. Now, you ask yourself WHY it died. It is a possibility that it could be one of three things (of course there could be other causes): it is old, dirty, and has not been cleaned, your alternator is bad, or it can be the number one reason most cars will not start…maybe you left the lights on without realizing it. Whatever the reason for your dead car may be, you know you will need to somehow jump start your car. In order to guarantee you are doing it correctly, or if you don’t have jumper cables or another vehicle near, call a Tower! Heavy-duty towing in the Jackson, Mississippi area is a very serious matter. As a bustling metropolitan city, large and oversized vehicles transit in and out of our city every day and when heavy-duty trucks fail, Ward’s Wrecker Service can help. Currently, Downtown Jackson is experiencing a $1.6 Billion-dollar development. New construction sites are popping up, buildings are getting renovated, public infrastructure is getting improved and all of this required heavy equipment being moved into high traffic areas. Ward’s Wrecker Service is Jackson’s most experienced heavy-duty towing service and can help transport your oversized equipment safely and securely. Using the latest equipment and techniques, Ward’s Wrecker Service provides specialized transport services utilizing lowboys and landolls. We can safely and securely move equipment, vehicles, containers and more in and around Jackson, Mississippi. Large investments in infrastructure are changing the city of Jackson. We’re seeing companies shipping more products due to increased demand. Everything from soft drink to technology conglomerates are cashing in on the Jackson, MS renaissance. Unavoidably, this attracts more people and our city will grow in population along with the infrastructure. 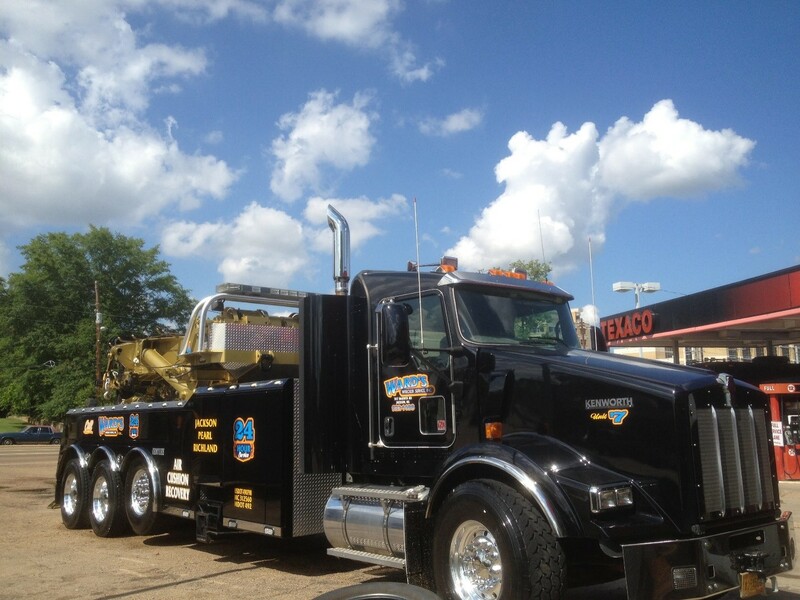 Ward’s Wrecker Service is ready for the job, able to provide heavy-duty towing to Jackson, MS and surrounding areas. Our heavy-duty commercial roadside services are the area’s finest and we’re available 24/7. As far as wrecks go, Ward’s is Jackson’s most experienced wrecker service. Our trained and licensed operators can safely help recover a wreck no matter how large. We staff hazmat certified first responders that can assist in cleanup efforts regardless of the conditions. At Ward’s, we understand the intricacies involved with heavy-duty towing in Jackson, MS. Our operators take the appropriate measures to ensure the vehicle is properly towed, with no damage to the vehicle. Rest assured that your truck or trailers drivetrain and transmission are going to be taken care of. Jackson, MS is experiencing a major economic boom with no sign of slowing down. Ward’s Wrecker Service is proud to be a part of the city’s growth and is ready to provide the finest heavy-duty towing service to current and future neighbors. We boast the finest equipment for heavy-duty rotator service and air cushion uprights of overturned heavy-duty vehicles. 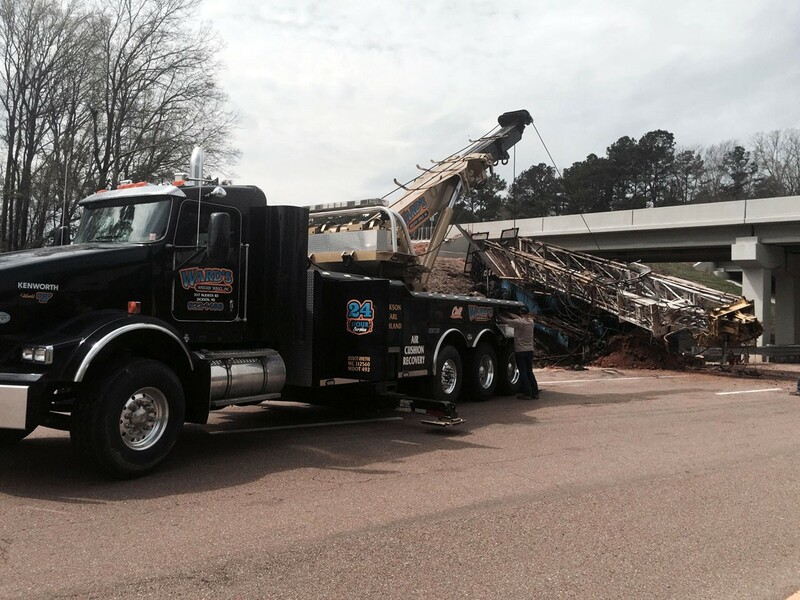 Ward’s Wrecker Service has been Jackson’s premier towing service provider since 1964, and we’re going strong. So, when you need heavy-duty towing services, trust the pros with the finest equipment and most knowledgeable staff. We’re available 24 hours a day, 365 days a year and ready to provide prompt, professional, efficient, and reliable heavy-duty towing to Jackson, MS and surrounding areas. Heavy-duty towing is more than the equipment. You can have all the tools necessary to get the job done right, but if you don’t have the right people with the proper training, all your equipment becomes useless. Having the right people with the proper training is most important to Wards Wrecker Service. It’s not just about getting a heavy-duty job done, it’s about doing things the right way and treating people with respect. We won’t compromise on customer service. One of the more difficult realities of the towing industry is the fact that no thinks of towers regularly. When they do think of towers, it’s often because something went horribly wrong. So, at Wards Wrecker Service, we decided to face this challenge head-on and incorporated customer service skills into our training program. One of our many strong suits is heavy-duty towing, a service where there is a lot of risks and the stakes are high. We began thinking, what if we bring the complete package of clean execution, understanding, service with a smile, and fair pricing? Not only does that set us apart, but it raises the industry bar. No more thinking of towers as those guys that sneak away with your car in the middle of the night. We’re the guys that answered the call when too much was on the line to risk. That’s what makes Wards Wrecker Service unique, we have been doing this long enough to understand the ramifications that come with heavy-duty towing and recovery. Every job we approach, we see the lives, livelihoods, and goods on the line. When you think of heavy-duty service in those terms, it becomes more than the “hook and chain” service you get from most other companies. A Wards Wrecker tower is a special kind of person who is trained to assess every situation before execution. Our main goal is delivery the quality of service we promised to our community. We take representing the people and community of Jackson, Mississippi seriously and it reflects in our manner and work ethic. We are Jackson, Mississippi, and we are proud to shout and show it. So, we tell our community that we are here to help you. When your heavy-duty towing demands seem overwhelming, trust the trained and experienced hands of Wards Wrecker Service. We keep a well-maintained fleet, manned by courteous drivers trained to handle everything from heavy-duty towing, recovery, transport, load shift service, and more. Every call to Wards Wrecker Service gets priority. We had an early morning situation recently where a truck driver hit a bump in the road and de-stabilized his cargo. Someone recommended Wards Wrecker Service and in the pitch blackness of morning, we were on scene executing a load shift to stabilize thousands of dollars in goods. At times the situation is more dramatic, and we have to deal with a capsized truck or equipment at a construction site. This is where we introduce the industry’s most advanced way of uprighting heavy-duty vehicles and equipment with minimal damage using our Air Cushion Recovery service. Wards Wrecker Service is redefining the term customer service and bringing more to the towing industry. Thanks to our community and the people we serve, we can offer the best rates around for the most demanding heavy-duty demands. Your continued support keeps our phones ringing and your costs down. There is never a bad time to contact Wards. 24/7 X 365, we are here to serve YOU! Call (601) 948-1310 to speak with our friendly Dispatcher Team. 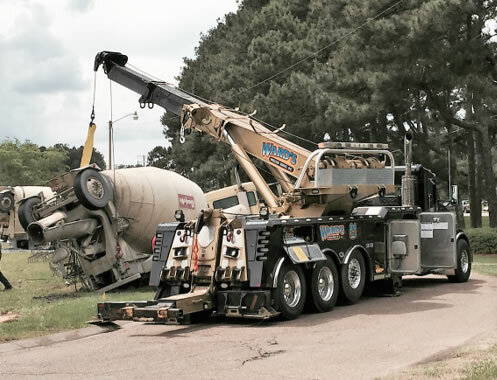 As the leading option for towing services throughout Mississippi, Ward’s Wrecker Service, Inc. has the responsibility of delivering a high standard of service to each and every customer. Nowhere is the standard more evident than in our heavy duty towing department. The mere size of the vehicles, equipment, cargo etc. we work with, tells of the cost and stakes should any mistake occur. At Ward’s Wrecker Service, we are proactive in training and preparing out tow truck operators. When customers in the state of Mississippi call on us, they are calling on a team trained to assess the job and provide the correct equipment. Protecting our customers’ property, business, equipment and more is paramount. Keeping you informed on how and why we do what we do is our way of explaining the security you have in calling Ward’s Wrecker Service, Inc. Read on further to understand the training and capabilities of the Ward’s Team. When we say, “Trained to assess the job and provide the right equipment,” a big part of that means understanding/knowing the tow capacity of the load, equipment, and/or vehicle. Attempting to tow more than capacity invites an array of problems that jeopardizes not just your property, but the safety and wellbeing of the operator. A Ward’s Wrecker Service operator knows to assess the capacity of cargo and provide the proper service. Proper weight distribution is key to making the transport safe and secure. A Ward’s Wrecker Service tow operator follows and tried and proven step by step process. We begin with loading the heavy cargo then fastening it in place so there are no shifts. Balancing the sides of significantly reduces the possibility of the cargo and truck capsizing. It may seem trivial, but that is only until an accident happens and by then it is too late. Having the right mirrors and positioning them properly can be the difference in safe transportation and a costly mistake. These mirrors give our drivers the ability to see smaller vehicles without having to move their heads or shift much. Now, they can make a lane change or allow a trailing vehicle to overtake them without being surprised. In our years of experience, we’ve learned that having functioning light is simply put, not enough. When towing heavy cargo, we like doubling the lights. Not only is all our light functioning, but they’re synced with the vehicle we’re transporting. This allows the brakes from both vehicles to light up when engaged. Fleet maintenance is something we at Ward’s Wrecker Service pride ourselves on. It allows us to keep costs down while continuing to deliver dependable services. One aspect of said maintenance is tire maintenance. Heavy duty transport puts a vehicle through a lot of wear and tear that often show in the tires first. Our tow operators check their tires and equipment before starting their day. This way they are safe can be depended on, equipped to reach their destination in a safe and timely manner. Ward’s Wrecker Service is available 24/7 365. Call (601) 948-1310 to speak with our friendly Dispatcher Team. The road can be a dangerous place. Between careless drivers, unpredictable weather, and never-ending construction work there are many hazards to be aware of during the average commute. Yet, at some point or another, accidents happen to all of us and when your work requires that you spend the majority of your time on the road you are more likely to find yourself in a precarious situation. That’s why, no matter your vehicle’s size, when you need help on the road you can turn to Ward’s Wrecker Service to lend a helping hand. 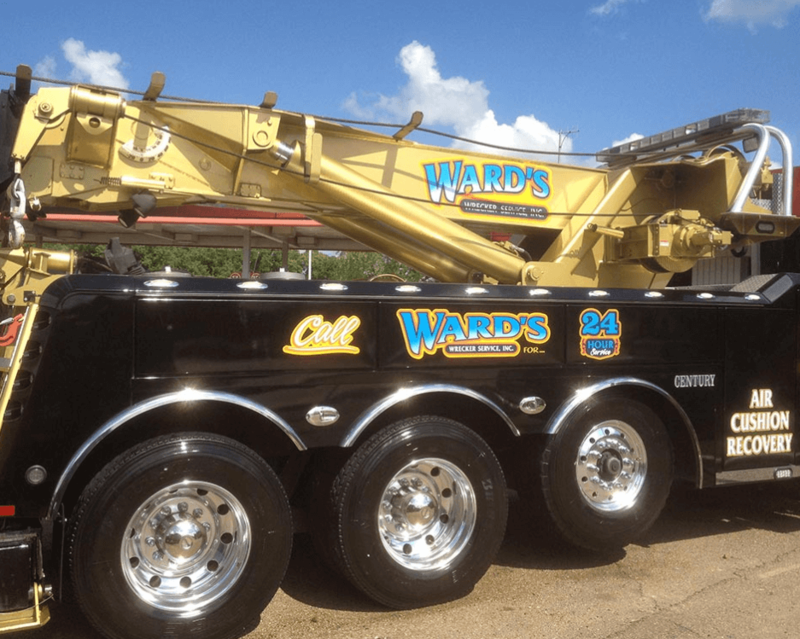 For over fifty years, Ward’s Wrecker Service has been a part of the Jackson, Mississippi community providing swift response and quality service to motorists in the area. Our customers recognize us as being fast, friendly, and always professional and have helped keep our business operating for so many years. It’s because of our long-standing presence in the community that we recognize the importance of being prepared for anything that can happen on the road. Accidents are always difficult. They are something that every vehicle is susceptible to experiencing, no matter the size. It has been recorded that in the United States there are approximately two million heavy-duty trucks on the road and studies have shown that five-hundred thousand accidents involving eighteen wheelers occur annually across the country. With statistics like that, it only stands to reason that a tow service should be prepared for the possibility that a heavy-duty vehicle will need towing or recovery work. Of course, there’s more to towing than just a promise to get the job done. The stress of being in an accident is more than enough for anyone to handle, so when a driver calls for a tow service the last thing that’s needed want is to have more issues for them to sort through. Ward’s Wrecker Service makes sure to be prepared for any call that comes along, by having the right tools for the job. Not only do we keep our own trucks in top-quality condition, but we also use the latest towing equipment available as well as state of the art vehicles that are able to handle the heavy-duty jobs. Yet a company is only as good as the crew members that stand behind it, which is why Ward’s makes sure to hire only the absolute best. Our team of drivers and tow truck operators are well-trained, experienced professionals who know how to operate our tow trucks and properly secure, load, and transport vehicles ranging from standard sized to heavy-duty without any additional damage. If you own or operate a heavy-duty commercial truck, you can drive easier knowing that Ward’s Wrecker Service is there for you. We know first-hand the importance of getting to your destination safely and on time, that’s why we make sure to take care of any call with a fast response time and courteous service. Make sure you call Ward’s Wrecker any time you need us, we’ll be there for you. We can be reached at (601) 948-1310 anytime day or night.